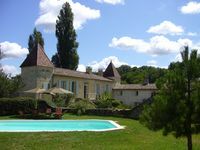 Property 4: Gite With Private Pool And Panoramic Views, perfect getaway! Water Mill set in a private valley with fishing lake and pool. Property 6: Water Mill set in a private valley with fishing lake and pool. Property 29: St Merd La Breuille cottage rental - Country House. Property 40: Mill 14 ° century, near St Emilion, Bordeaux Arcachon, Dordogne. Property 49: Cottage with Heated Salt water pool in private & peaceful setting. Great location to discover the wine region. Everything what you need for a relaxing vacation. The house provides all comfort and the hosts are very kind.